Are you letting your environment affect your business? Are You Catering For Your Customer’s Needs? The things I HATE in business! "helpful and insightful, without being judgemental!" Ash is a great presenter and motivator. Always helpful and insightful, without being judgemental! 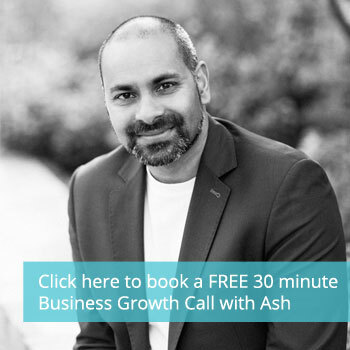 His workshops are outstanding – You are guaranteed to learn something new every time... it is always something you can act immediately on to improve your business or yourself. Thanks very much Ash! We wish the talk had been longer. It was really engaging, humorous and thought-provoking. It was the perfect balance – a bit about your background, a bit about your business and a bit about what others can learn from your experience. I particularly liked the DVD idea! Persistence and hard work pay off. Thank you very much!